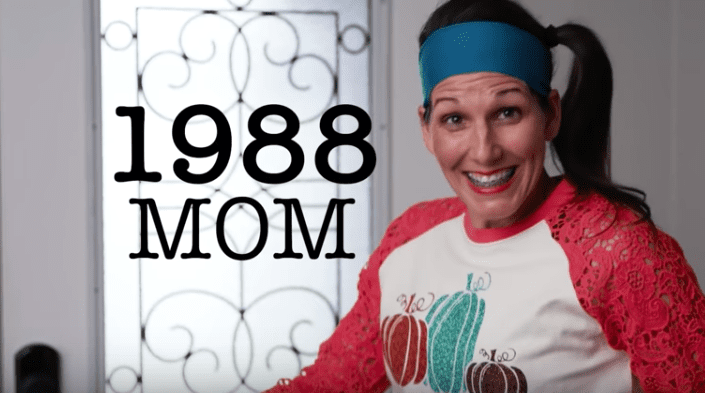 If you grew up in the 1980s or ’90s, chances are you’ve noticed how different parenting has become over the years (you’ve also possibly watched your own parents morph into completely different people as grandparents, like I have), and comedians Meredith Masony and Tiffany Jenkins put together a video to mark how Halloween can mark the stark – and hilarious – differences between moms then and now. The video starts with costumes – remember ’80s costumes, you guys? They were made from sheets and cardboard boxes and that flower girl dress you can totally still squeeze into so you can double as a princess. Now? Everyone sews their own super intense, realistic, culturally relevant duds that would be more at home walking the halls at Comic Con than a dimly lit suburban street. And then there’s the rules when it comes to candy. Back in the day we filled up a pillowcase and then came home and ate until we got sick (after our parents checked for needle punctures) but today, kids can pick out maybe three pieces before handing over the rest of their haul to be doled out between Halloween and Thanksgiving. Pumpkin carving? 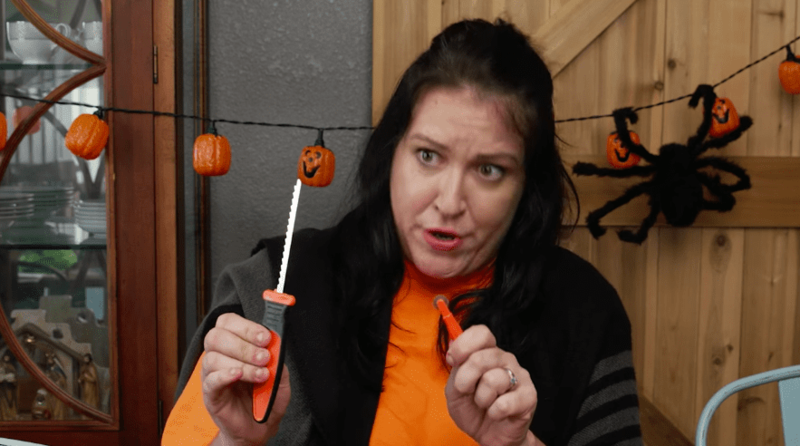 Kids today will never know the pleasure of being handed a giant knife and being told to get to it – but pumpkins today also have to have fancy patterns that require tools only adults have the patience to see through to the end. Masony told Scary Mommy that her inspiration for the video, which now has over 5 million views, came from her own childhood experiences. So many people can relate, especially all of those 80s kids that are now trying to be the perfect mom in this brave new Halloween world. The pair are already planning a Christmas version of their Halloween video, and if you like what they’re doing, check out their podcast, Take It Or Leave It, in the meantime. 16 people who met celebrities and found out they’re just like us: jerks.